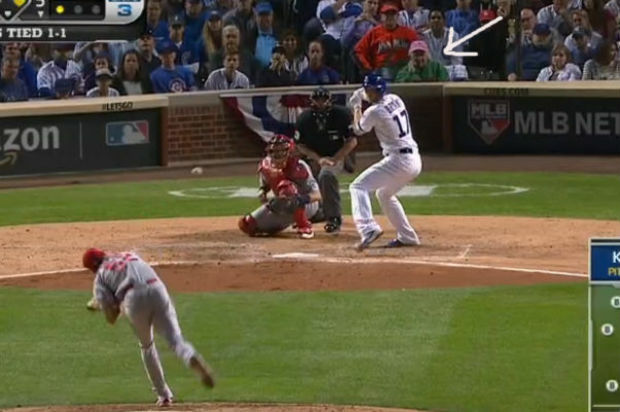 Who Is The Guy In The Pink Hat Behind Home Plate At Wrigley Field? Jim Anixter is "The Pink Hat Guy" with season tickets behind home plate at Wrigley Field. Editor's note: This story was originally posted Oct. 16, 2015. We have republished it, as "the man with the pink hat" is back in camera view of televised World Series games at Wrigley Field. 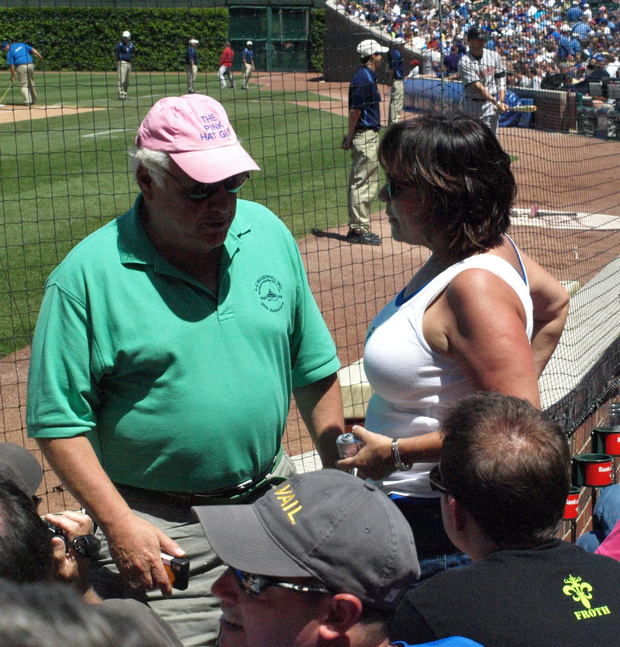 CHICAGO — Who is the "The Pink Hat Guy" behind home plate at Wrigley Field? And why does he keep wearing that loud hat and green sweatshirt? It's Jim Anixter ... and he just wants his wife to know he actually went to the ballgame. "It's so my wife can see I'm really at the ballpark and I'm not fooling around," said a laughing Anixter. "I like being the 'Pink Hat Guy,' but my family thinks I'm a total child. I tell people I'm going to be 71, going on 12." Anixter is a Hyde Park native, Highland Park resident and president of A-Z Wire & Cable, a distributor of industrial, commercial and specialty wire and cable. He's also been part of several efforts to buy the Cubs. Like the rest of us, he's been waiting his whole life for the Cubs to win it all. He's just had better seats. Anixter has owned Cubs season tickets in the first row since 1966. He's been donning a pink hat in the stands since the Cubs passed them out at the 1990 All-Star Game. Anixter's three sons and daughter all work at A-Z, which has distribution centers across the country and owns season tickets with the Brewers, Rockies, Diamondbacks, Astros, White Sox and Cubs. Anixter doesn't just have the seats caught on camera during every pitch. He currently has 16 season tickets in prime seating locations at Wrigley. That includes the four in the first row behind home plate and 12 in the fifth row. He said his company spent about $200,000 on Cubs tickets last year. "It's well worth it," Anixter said. He always wears the pink hat when he attends games, Anixter said. He more recently added the green shirt — or green hooded sweatshirt when it's cold — to his repertoire because green is the color of baseball diamond grass, he said. Anixter said fans can get their own "Pink Hat Guy" hat by emailing him and promising to make at least a $25 donation to the American Cancer Society. He said he's mailed fans at least 1,000 hats since they started asking him. "The pink hat thing started as a joke, but it's become more serious," he said.